The United States on 7 September, asked Pakistan to do more to eliminate terrorist safe havens saying terror groups like Lashkar-e-Taiba and Jaish-e-Mohammed continue to be a threat to everyone. 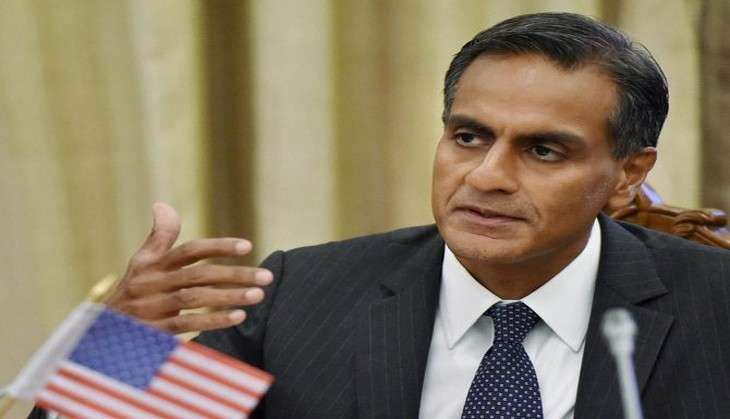 "We're also aware India is located in a challenging neighbourhood and the United States has been very clear, at the highest levels, that Pakistan can and must do more to eliminate terrorist safe havens," US Ambassador to India Richard R Verma said at the US-India Expert Workshop on Countering Terrorist Use of the Internet. Verma said last year, the US and India signed a Joint Declaration on combating terrorism, which outlined a shared vision for counter terrorism cooperation and reiterated the "concerns about terrorist groups like Lashkar-e-Taiba, the Haqqani Network, Jaish-e-Mohammed, and others". "Across the board, our security cooperation is making our two nations, and the world, a safer place... Our strategic convergence on countering-terrorism has never been closer," he said. The Ambassador said terrorist groups are using digital technologies to recruit, radicalise, and finance terror activities across borders and to coordinate attacks from remote locations, where they are often beyond the reach of national authorities. He said ISIL in particular, with its sophisticated use of social media, has changed the rules of the game. While ISIL has faced significant reversals in Iraq and Syria at the hands of the International Coalition, the group remains a clear and present threat in South Asia.